Extra thanks: romhacking.net, ALoY, xezekielx, Nihon Falcom for a great game. 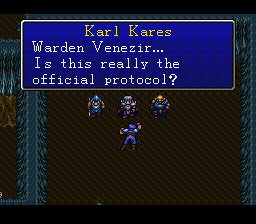 Brandish can be pretty unforgiving. There is a guide on GameFAQs, which is incomplete but good enough for 75% of the game. 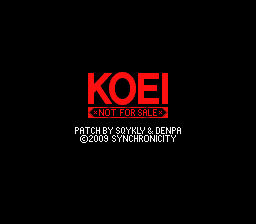 Hopefully it will be finished someday, especially now that this English patch is available. • Press L+R to rest at all time. 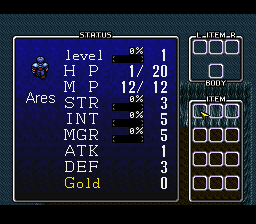 HP and MP will recover, but Ares is vulnerable to enemy attacks while resting. • Make sure you hunt down every possible item. 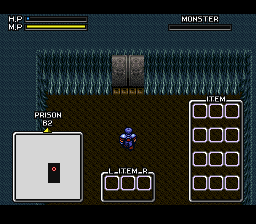 Missing one of the "Dimensional Boxes" will seriously hamper your progress. Nothing is permanently missable though, you'll just have to backtrack. • Stacking items frees up inventory space. You can only stack things like Potions, Rings, Keys and Gold. Just select one, then the other. Note that you can't "un-stack" items! Not that you'd really want to. 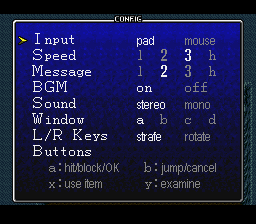 • You should experiment with the three control schemes available in the configuration screen (strafe / rotate / mouse). • Adjusting the game speed may help for a tough boss fight. • Hit select to access in-game inventory. Then press "Examine" (Y by default) to drop an item. It's actually R+"Examine" to examine an item... confused yet? • You can have your weapons repaired in specific shops. This only works when attempting to sell used swords. • You don't have to stick to a sword & shield combo. Try dual wielding! • EMERGENCY LOAD PROCEDURE: If you somehow get stuck in a pit or can't get out of a sticky situation, you can hold R while loading your game. This will bring up a map where you can pick a destination to warp to. 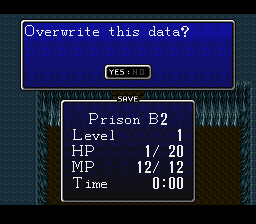 As well as forfeiting any unsaved progress, all stats will decrease by 1. You can always rebuild these stats, it's just a temporary setback. *hint* There's another use for this procedure. 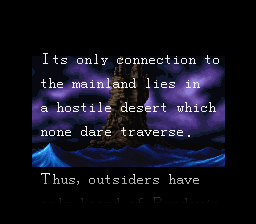 Our group strictly focuses on the Brandish series and to some extent, all Nihon Falcom games. 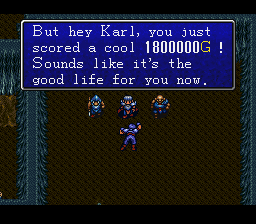 We tried our best to remain faithful to the original Japanese text while integrating a few elements from the American release of Brandish 1 (SNES), such as various item names and common in-game messages. 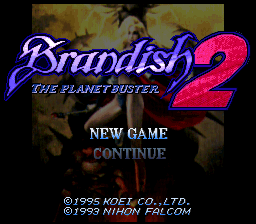 If you enjoyed playing through Brandish 2 and own a PSP, you should consider purchasing the Brandish 1 remake for said system. Otherwise, you could also contact non-Japanese publishers and request them to evaluate releasing an English version of Brandish PSP. 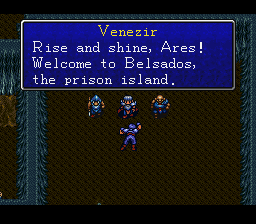 Between this patch, the recent remake and an upcoming Brandish 4 translation, it's a great time to be a fan so let's make the most of it! • About 4 strings were prefixed with "~~"; we just couldn't trigger them after three months of intense beta testing. 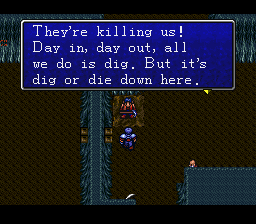 Probably leftovers from the original PC98 version. If you run into one of them, congrats! Send us a quick email and go buy a lottery ticket while you're at it. • There are exactly 4 minor graphical hiccups during Dela Delon's second boat scene. Depending on your emulator, you might not even notice this. • The soundtrack does "lag" once in a while. This does not appear to be patch-related. Unfortunately, KOEI really dropped the ball there. • Hitting the sea with a sledgehammer. • Examining switches from behind a wall. • Some "Examine" messages will only display in "Strafe" mode.